Dr. Davis is a globally recognized pioneer and foremost authority on family enterprise, family wealth, leadership, and succession. Since the 1970s, he has served as an academic, advisor, author and speaker in the family enterprise field. For decades, his insights, advice, lectures and writing have helped to develop leaders, professionalize businesses, strengthen families, and pass sustainable enterprises from one generation to the next. Trained in management, psychology, and economics, Dr. Davis works globally with multigenerational families, ownership groups, and business leaders on issues related to the success and continuity of their family enterprise. 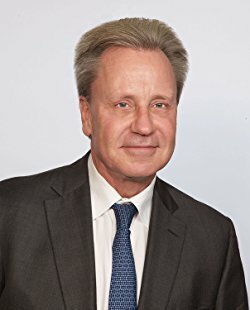 He advises leading families from over 70 countries on topics such as long-term sustainability; corporate and family governance; family wealth; developing the next generation; succession transitions; conflict resolution and family unity; family, ownership and business strategy; professionalizing the family business and family office; life planning; and many others. He is recognized as one of America’s leading wealth advisors. He is Founder and Chairman of the Cambridge Family Enterprise Group, a global organization he created in 1989 to support family-owned enterprises. It is comprised of two divisions: Cambridge Advisors to Family Enterprise, a highly specialized advisory firm, and Cambridge Institute for Family Enterprise, a think-tank and education and research institute for enterprising families. A renowned academic and shaper of the family business field, Dr. Davis joined the Harvard Business School (HBS) faculty in 1996, where he founded the family business management area at the School. As a faculty member at HBS for more than 20 years, he taught and chaired executive programs, custom management programs, and MBA courses. He is the Founding Chair of the Families in Business program, a six-day, flagship executive program that he created in 1997, which examines pivotal issues facing family-owned companies. As a faculty member in the MBA program and in Executive Education for more than 20 years, he taught family business management, leadership, ownership, governance, change management, and life planning in several programs, including the Owner/President Management program, Boards for Private Companies, Key Executives, Launching New Ventures, Real Estate Management, Leading and Transforming Family Businesses—China, and in custom programs for executive teams and business owners.